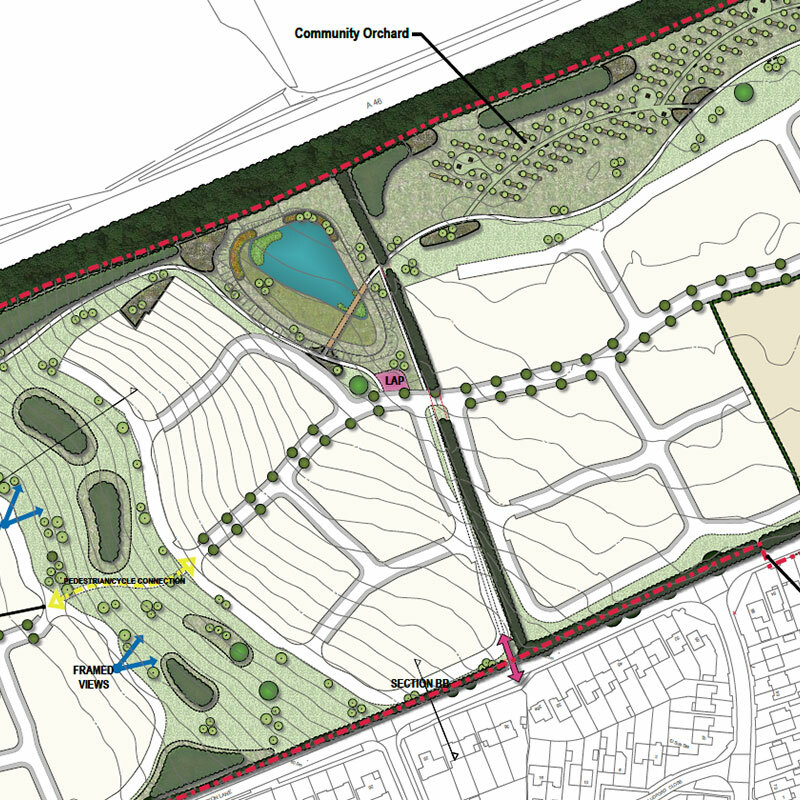 CSA’s ecology, archaeology and landscape teams have had a longstanding involvement with this strategic land site, culminating in a successful outline planning approval for up to 500 homes, together with safeguarded land for a single form entry primary school. CSA’s landscape architects provided advice to guide the creation of a sensitive scheme which could overcome potential landscape concerns. Biodiversity Offsetting also had to be considered and CSA designed a landscape strategy for the site which delivered enough new and enhanced habitat, alongside new homes, to result in a positive increase in biodiversity compared to the current arable farmland use. Furthermore the proposals for the site incorporated mitigation measures to retain and enhance habitats for species including bats, reptiles, birds, badgers, water vole and otter, as well as agreed off-site measures to counteract the loss of arable nesting and foraging habitat for skylark.